State champs are fast approaching. 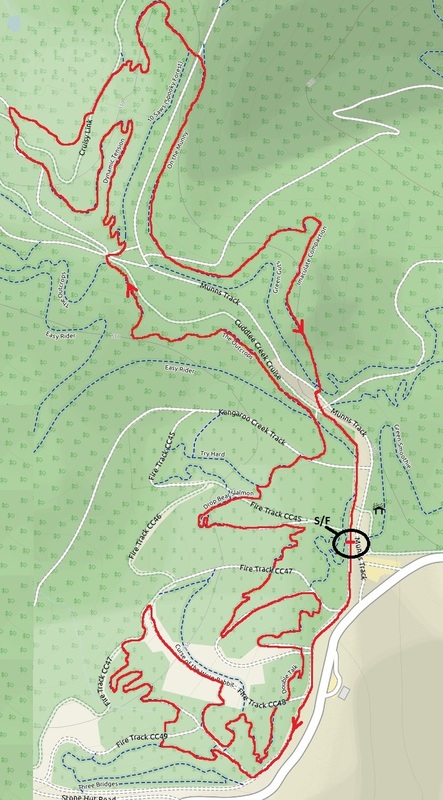 Here’s a map of what the course may or may not look like – i.e. it’s subject to change because who likes to know everything? The course needs some pruning, so if you’re keen to help out shoot a message over to racedirector@ambc.asn.au so that you can arrange logistics and story times. The timing role stops the person from racing and the committee compensates this by making it a paid position. Timing and registration coordinator positions are a must have in order for races to go ahead. What’s CHC? COLD HARD CASH – The series points have been tallied and winners have been decided. The prizes will be awarded after the AGM and right before State Champs prizes. Remember that all championship categories in the State Champs attract CHC – some categories even paying to 5th! Check out the State Champs page for more info. LivGiant is once again hosting another ladies ride at Fox Creek tomorrow morning – 01st November. All the details can be found on there Facebook event page – click here. Ride meet is at 09:15 and roll out at 09:30 for a 1.5 hour ride. Great opportunity to scout the state champs course for beginner and experienced rides alike and pick the brains of the LivGiant ladies about tactics, line choice and the best jokes to heckle to fetch a smile from competitors! Raffle? What raffle? WELL! 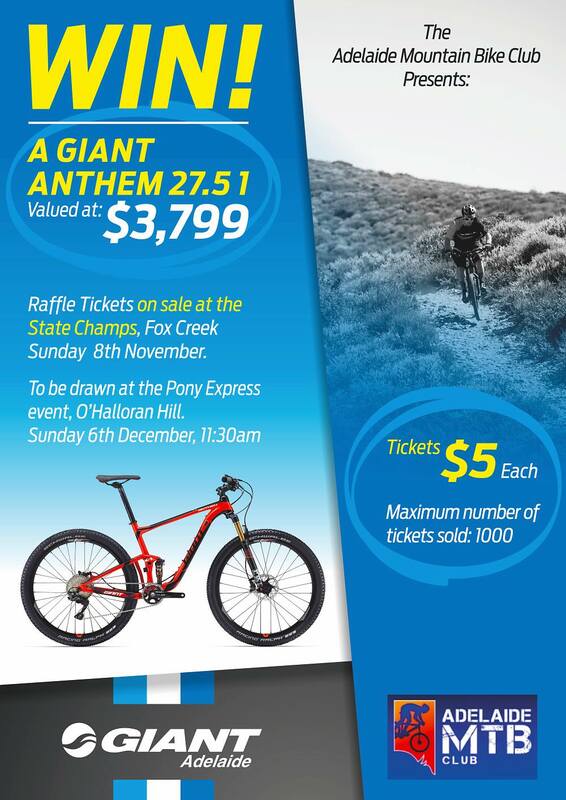 Thanks to Giant Bicycles Adelaide AMBC have one delicious Giant Anthem 27.5 1 to raffle off. The raffle will be drawn at the clubs end of year function on 06 Dec, and tickets will be available for purchase at the State champs. Tickets are $5ea and there are only 1000 of them, so get in quick! This entry was posted in AMBC Races and tagged Fox Creek, Giant, LivGiant, Raffle, State Championships by P'An-Tau. Bookmark the permalink.